Just finished yesterday – I’m working so hard this month!! This is a little lane at Mount Bures in Suffolk that I drew in the early autumn last year – but have only just got round to painting. This is a very small painting compared with most that I’ve done recently – only 30cm square. 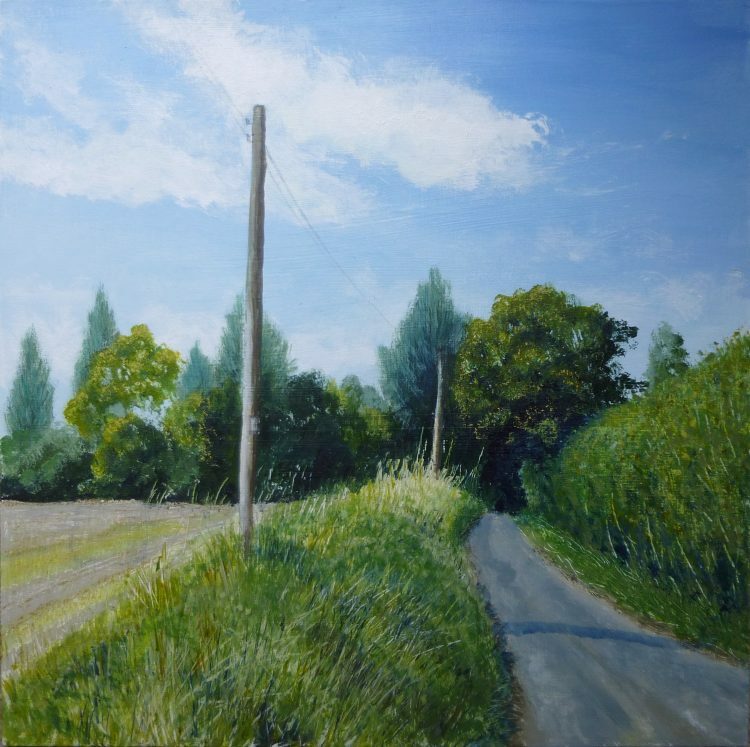 Telegraph poles straggling along a country lane is a subject that I’ve painted a couple of times before, in Essex Lane and Hazy Spring Morning, Suffolk, but they always seem to me very evocative of a particular North Essex or South Suffolk landscape. 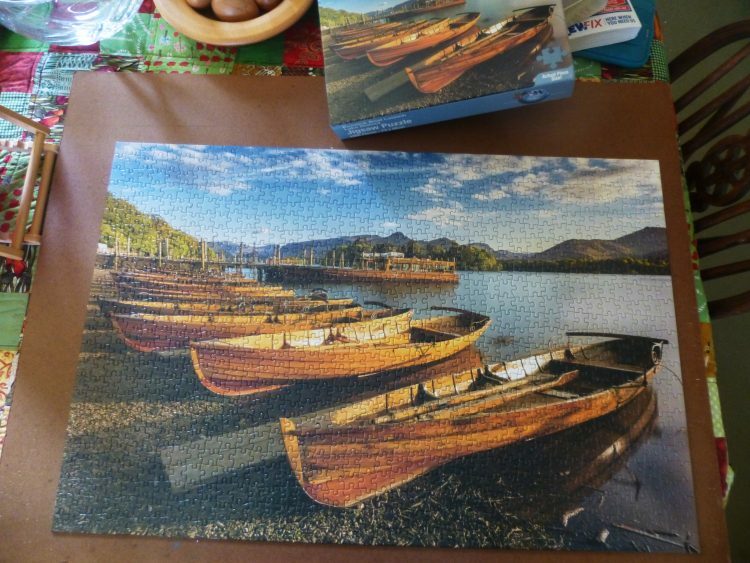 I’ve also just finished my birthday jigsaw – quite the most difficult I’ve ever done! Next – it’s on with the first painting in my ‘Four Seasons on the Stour’ series. ← A Year on Fingringhoe Wick – the Book!